We are on the Fastlane to WrestleMania and we are arriving at the final pit stop! 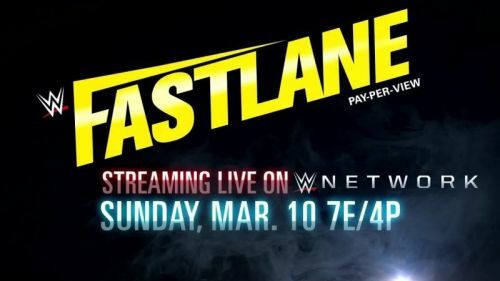 This Sunday, WWE presents WWE Fastlane, which will come to us, live, from the Quicken Loans Arena, home of the NBA's Cleveland Cavilers. There are eight matches on the card and for a lame duck Pay Per View, Fastlane is shaping up to be an interesting show. On the RAW side of the card, The Revival will defend their newly won RAW tag team titles against former champions Bobby Roode and Chad Gable and NXT's Ricochet and Aleister Black. Can The Revival overcome the odds being stacked against them? Also, Sasha Banks and Bayley will defend the new Women's Tag Team Championships against Tamina and Nia Jax. Will the Boss n Hug Connection be successful in their first title defence? In the main event for the red brand, The Shield have once again reformed and will take on the trio of Baron Corbin, Drew McIntyre, and Bobby Lashley in what is being advertised as The Shield's "last ride". On the Smackdown side of the card, Rey Mysterio will take on his archnemesis Andrade. Will these two put on another show-stealing performance? The Usos will defend the Smackdown tag team titles against Shane McMahon and The Miz. Will the Usos overcome the "Best Tag Team in the World" again? Asuka will defend her Smackdown Women's Championship against Mandy Rose. Will "The Empress of Tomorrow" overcome Mandy Rose and possible outside interference from Sonya DeVille? Daniel Bryan will defend the WWE Championship against Kevin Owens. Can the Planet's Champion overcome a fresh and refocused Kevin Owens? In what will likely be the main event of the evening, Charlotte Flair will go one on one with "The Man" Becky Lynch. Can Lynch overcome The Queen and reinsert herself into the RAW Women's Championship match at WrestleMania? With that being said, here are three things possible for this Sunday's show. Leave your thoughts and predictions in the comments below and be sure to stay tuned to Sportskeeda for all the latest news and rumours as Fastlane approaches. In what is being billed as The Shield's "last ride", the trio will team up for possibly the last time to take on the team of Baron Corbin, Drew McIntyre, and Bobby Lashley. 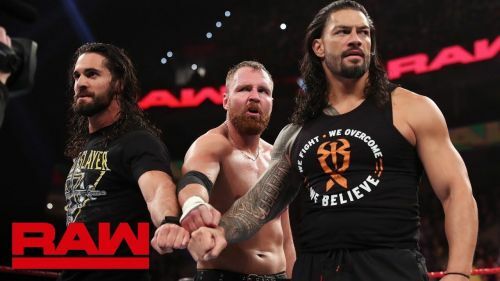 After two failed reunions, it seemed like The Shield was done once and for all late last year when Roman Reigns announced that he would take a leave of absence to deal with Leukemia and Dean Ambrose turned his back on Seth Rollins the very same night. However, after a failed heel turn and Reigns returning sooner than anyone anticipated, they have reunited once again and possibly for the final time. It is no secret that Ambrose is possibly leaving the company after his contract expires in a couple of months. Rollins will be turning his attention to Brock Lesnar and the Universal Championship after Sunday, and Reigns has no place on the WrestleMania card yet. Corbin, McIntyre, and Lashley function better as singles competitors, especially McIntyre and Lashley (to a lesser extent). I see no reason for them to go over The Shield here, especially since Rollins needs to look strong heading into his battle with The Beast, so I see The Shield winning this Sunday. The only swerve I could see happening is after they win that Ambrose turns on Reigns, setting up a WrestleMania match between the two, but that wouldn't make sense since Rollins would have to be involved somehow and he has other business to handle.